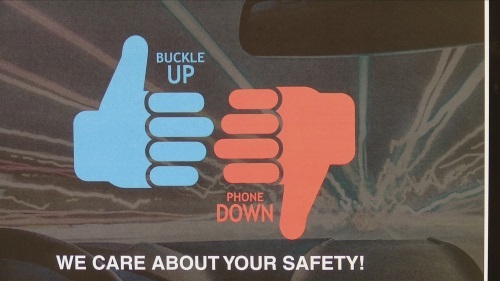 The Missouri Department of Transportation recently tried something new to draw attention to its two-year-old Buckle Up Phone Down safety campaign that encourages drivers to buckle their seat belts every time they get in the car and to put their cellphones down or turn them off if necessary when driving: producing a two-and-a-half-minute video emphasizing the safety slogan in more than 11 languages, including sign language, used in the agency’s St. Louis office. The agency noted its video, released Dec. 3, shares the BUPD safety message in French, Spanish, Thai, Igbo, Arabic, Croatian, Tigrigna-Eritrean, Amharic, Dutch, English and American Sign Language. MoDOT also emphasized that, according to the National Highway Traffic Safety Administration, distracted driving is a leading cause of car crashes in the United States, while AAA noted texting increases the risk of a car crash by 50 percent. MoDOT also pointed out that, in 2017, 932 people died in crashes on Missouri highways and that 64 percent of those fatalities – driver and passengers both – were not wearing a safety belt.